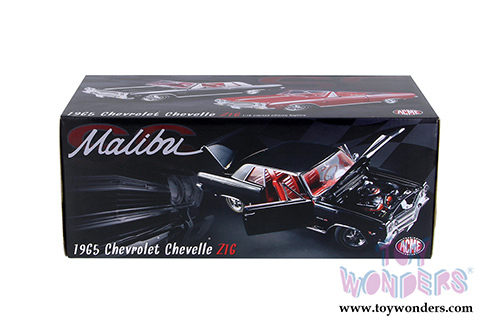 1805301 Acme - 1965 Chevy® Chevelle® Z16 (Malibu SS 396) Hardtop. 1:18 scale diecast collectible model. 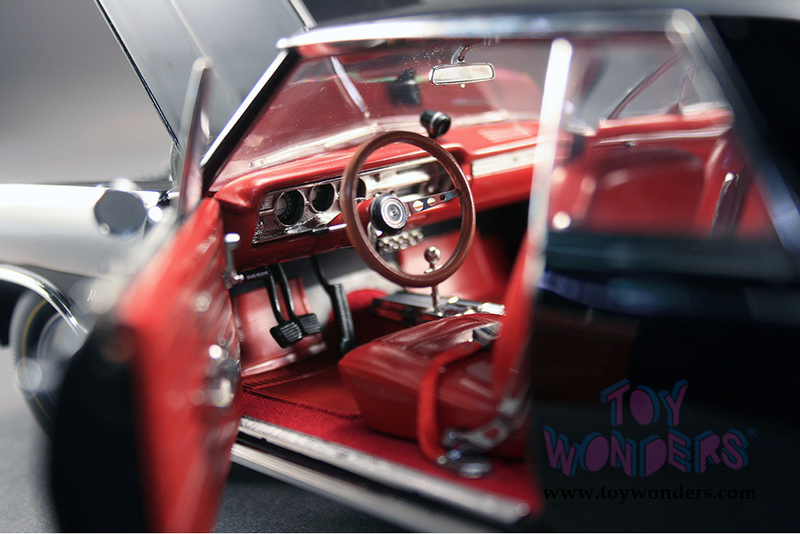 This Chevy Chevelle features cloth seat belts, poseable steering. Plumbed and wired engine with a serialized plate. This '65 Chevrolet is manufactured by Acme. Individually packed in decorated a box. 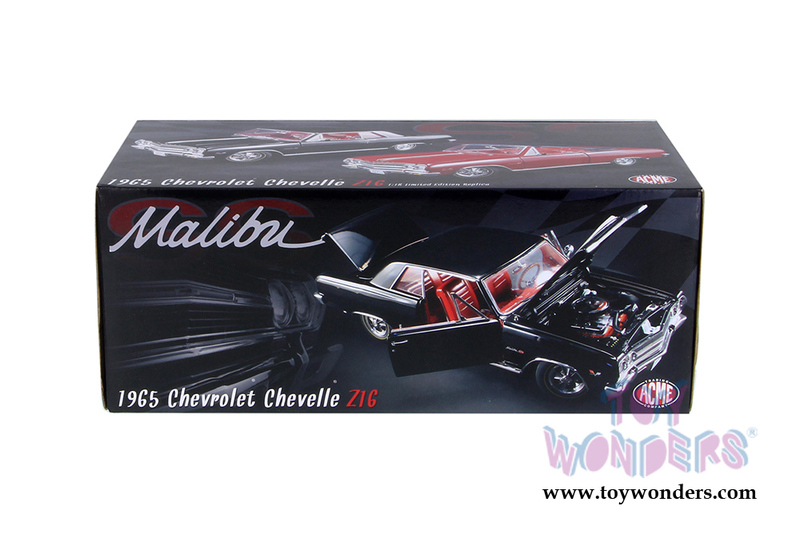 Box size: 13.25"L x 6.25"W x 5.25"H. Limited edition to 444 pcs. 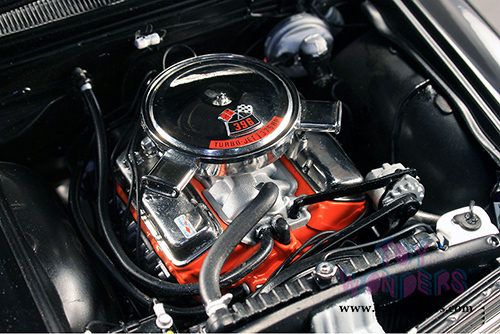 In early 1965, Chevrolet Motor Division produced an automobile that ignited a new era for Chevrolet: the SS396 Chevelle. Known historically as a Malibu SS 396, but are referred to today as the Z16. Total Malibu SS 396 production was 201 cars. About 65 Z16 coupes in restored or unrestored condition still exist making them one of the rarest and most desirable muscle cars. Only three are known to exist in this color combination making this one of the rarest Z16 cars ever made! 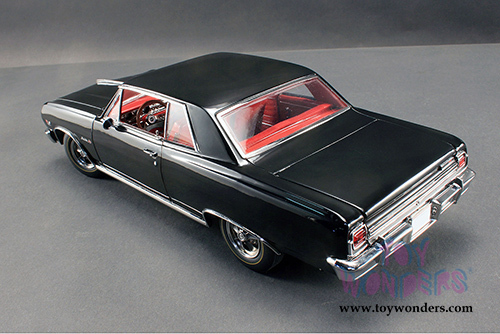 To see more Dragster die-cast collector models (click here).